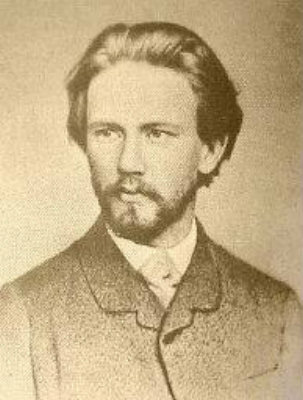 Tchaikovsky began working on "Winter Daydreams" in March 1866, just after he had accepted a professorship at the Moscow Conservatory. At that time he was trying to establish a reputation for himself as a composer, without much success. He had been beset by scathing reviews and failure to get works performed. By all accounts the composition of symphony was not easy. His brother Modest reported that it caused Tchaikovsky more labour and agony than any of his other works. All these factors took a toll on his mental and physical health, but he continued to work night and day causing himself nervous and physical exhaustion. His doctor reportedly described him as "one step away from insanity". Part of the difficulties stemmed from the fact that he sought advice from his former teachers at the St. Petersburg Conservatory, Anton Rubinstein and Nikolai Zaremba. His intention was to try to secure a performance of the work in St. Petersburg - the most prestigious Russian venue for musical performance of the time. However the two distinguished professors were very conservative in their musical tastes, and held the German school of composition - particularly Mendelssohn and Beethoven - to be the zenith to which all great music composers should aspire. In their opinion, Tchaikovsky's work did not meet that standard, and they refused to consider the symphony for performance until he revised it following specific recommendations. Tchaikovsky complied and after several months sent them a revised score. This time they grudgingly admitted that the second and third movements were suitable for performance, and indeed they were performed in St. Petersburg on 23rd February 1867. However, taken out of the context of the symphony as a whole the two movements did not make the impact that Tchaikovsky wanted. He at last realised his folly in following the advice of the erudite professors, and returned to Moscow to rework the symphony following his original plans. Virtually all the recommendations of Rubinstein and Zaremba were removed. However, there was one section in the symphony that Tchaikovsky had modified to please Zaremba, for which had not kept the original. Unfortunately he could not recall what he had written. Once the symphony had been restored, things began to improve for Tchaikovsky. Anton Rubenstein's brother Nikolai, a pianist, composer and conductor, was then in Moscow, and thought highly of Tchaikovsky's work. He finally conducted it in its entirety on the 15th February 1868, and the symphony was dedicated to him. It was received warmly; however it was not performed again until 1883. With hindsight is seems surprising that Tchaikovsky should have fallen foul of the musical establishment of St. Petersburg as his works do show clear influences from Mozart, Mendelssohn and Beethoven. Other contemporary composers such as Balakirev, Mussorgsky and Borodin, who were spearheading the new nationalist movement in music, while admiring his work, thought of him as a follower of the German tradition rather than a true nationalist composer. However, his symphony would never have satisfied Anton Rubenstein because while showing great respect for the German traditions it was breaking from them in a number of original and inventive ways. One example is the use of Russian folk music. The final movement uses a folk song which is presented in two different ways. First as a slow and sorrowful introduction, and then with the character of an energetic troika ride. The slow movement is based on a beautiful melody with characteristic folk traits, which develops into a dramatic and emotional climax as the movement progresses. Another striking innovation is the use of a waltz as the trio in the third movement, not a traditional folk dance to please the nationalist movement, but an urbane salon piece. "Winter Daydreams" always remained one of Tchaikovsky's favourite works. In a letter written in 1886 Tchaikovsky wrote: "I like this symphony very much, and deeply regret that it's had such an unhappy existence", in another he wrote: "Despite all its huge shortcomings, I still nourish a weakness for it, because it was a sin of my sweet youth". To his patron Nadezhda von Meck he wrote: "I don't know if you are familiar with my composition. In many respects it is very immature, although fundamentally it is still richer in content than many of my other, more mature works". Winter Daydreams was performed by the Portobello Orchestra on the 2nd December 2017, conducted by Sam Jones.